So ... What micro-brews should I try in Anchorage? I want to join in on the fun of "I'm off to Bouchercon" blogging. Yes, I too will board a jet for the great north. My flight will last ... oh ... roughly 75 hours, so I'll be ready for a drink when I hit the ground. A big one. In case I haven't mentioned it lately, I'm up for an Anthony Award -- my novel Shotgun Opera in the category of Best Paperback Original. Considering the worthy competition I can't really think I'm going to win, but it'll be cool to walk around for a day or two as a nominee. I have a 4 year old son. His name is Emery. We went to the doctor a few days ago, and we waited in the waiting room. A long time. About 200 hours. As you can imagine a 4 year old can get a bit restless. I told him a story. The story was about a kingdom of purple bunnies who foil a three-headed dragon. Emery has now insisted I continue the adventures of the purple bunnies. Daily. Recently the purple bunnies have helped a giant eagle retrieve her eggs from a hungry polar bear with a slight bit of help from Santa Claus. The Purple bunnies have been to outer space and back. The purple bunnies generally celebrate a good adventure by going to Pizza Hut. It has been difficult to restrain myself. 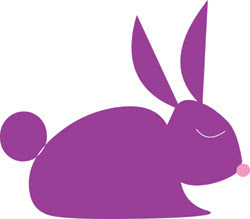 Often, I feel the purple bunnies could resolve certain problems with a machine gun or laser death ray. I feel this might not be appropriate. I have thus far behaved myself. I'd like to apologize to my wife Jackie for getting her into this. She used to be normal. 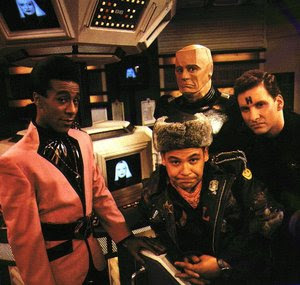 Now I've got her hooked on Red Dwarf ... a funny-ish sci-fi show from the UK. We recently purchased the entire eight seasons on DVD. I say "funny-ish" because the show isn't necessarily the funniest comedy to ever hit television. I think of the show as more amusing than flat out hilarious, but the fact is I genuinely like the characters and enjoy spending time with them. These guys seem pretty serious about getting the word out they have a new issue coming in November. So my wife noticed how hard it was to get a cup of coffee in the morning. A recent development. Why? 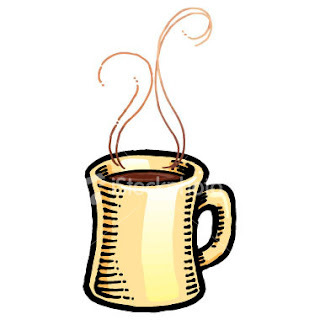 Because there never seemed to be any clean coffee mugs ... or ... to be frank ... any coffee mugs at all. Where the hell did they all go? In my truck. Mugs go in but they don't come out. So I made a point to clean them out of there today. Eleven. Eleven coffee mugs in my truck. That's a new personal best. To think you might have wasted years on an MFA when you can just watch a six minute video. 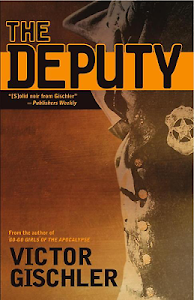 If you know me and my work or have been a regular reader of this blog then you know I've written four hardboiled crime novels for Bantam Dell. And you also probably know I've recently switched gears a bit, signing on with Simon & Schuster for a couple of novels that are a bit ... different. I was contacted by the good folks at Touchstone (the S&S imprint publishing my stuff) who said they were starting to talk about GO-GO GIRLS OF THE APOCALYPSE in-house and getting excited about various ideas to market the book. (I even contributed a good idea myself which was fairly well-received. Stay tuned.) It was the sort of phone call an author wants to get from his/her publisher. Lots of positive enthusiasm about my work and how the team was going to spread my name hither and yon among readers of the world. One little surprise during the conversation: Touchstone plans to market the book as Science Fiction. Cool. I am a huge science fiction/Fantasy fan, loving such authors as Nancy Kress, Larry Niven, Jerry Pournelle, Mike Resnick, Dave Duncan, Richard K. Morgan, John Scalzi, Lawrence Watt-Evans ... the list goes on. And a story set in a post-apocalyptic America? Sure. That's a no-brainer. Why wouldn't it go on the Science Fiction shelf of Borders and B&N? In a way, it feels cool to come full circle. 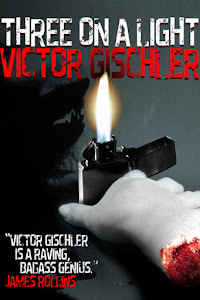 I started off writing science fiction/fantasy/horror short stories, and, although I published a few things, I was really getting nowhere fast, not really hitting my stride until I penned a few things in the crime genre. So it's cool. I'm finally starting the science fiction career I always wanted, and I'm stoked about it. Expectations are everything, aren't they? And I'd developed some different expectations. When we all first started talking about GO-GO, the name Christopher Moore came up a lot (I highly suggest everyone get a copy of Lamb.). I'm a huge fan of Moore's work, and while he uses a number of fantastical/supernatural elements in his work, the books are sold as mainstream. This was sort of how we were going to approach selling GO-GO. The science fiction elements in the book are strong, but I think the satirical elements are dominant. But Touchstone saw opportunities to reach a science fiction audience, and I very much support any campaign that gets my work to the readers who will appreciate it the most. Kurt Vonnegut (another book-writing hero of mine) said he wanted to stay out of the science fiction file drawer because critics too often mistook this drawer for a urinal. I'm not inviting the tired lit-snob vs. genre debate. I don't have the energy for it. All I'm saying is that I'm wondering. Wondering what's going to happen as I tackle a brave new genre. Will my crime readers follow me to new places? Will the science fiction community welcome me? I sort of feel like a rookie all over again. I'm eager. I look forward to meeting different folks at science-fiction conventions, new authors. It's all out there waiting, and I plan to jump in with both feet. Here's what's not different: What I write and the way I write it. When I wrote crime novels, I never sat down and said to myself "Crime novels are supposed to look like this." No. I wrote the story I wanted to write regardless of genre conventions or formulas. Same goes for science fiction or any other genre. I'm going to write the sort if thing I'd want to read. I'm going to hope others like it. We'll see what happens. I hope I can get you guys to come along for the ride. Earlier in August I blogged that I would be watching every episode of every season of Buffy the Vampire Slayer all in a row. This was part of the moral support I was offering my wife Jackie who is watching all the episodes as part of an effort to write a smartish academic type paper about the show. And I think I'm going a bit crazy. I'm starting to think of the characters as people I know. My dreams are lousy with Buffy, Spike, Xander and Willow. Today I'm going to watch some golf on TV which I hope will act as mental sorbet. I write novels, screenplays and funny books. I also talk about Disney just a little too much.